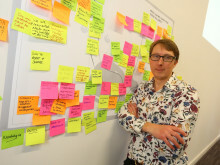 The exercise was part of the Disruptive Innovation Festival (DIF) 2015, and supported by Northumbrian Water. 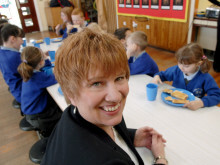 The Ellen MacArthur Foundation’s Sara Heinrich, live by videoconference from the Isle of White, introduced students to the Circular Economy model. They were then tasked with identifying how and why water is wasted by households and businesses, and asked to respond by developing innovative ways to encourage behavioral change. Overnight the students produced short videos to highlight their findings, which they then presented to Northumbrian Water’s Research and Development Manager, Chris Jones. The whole activity was shared via Twitter with students posting their videos using the hashtag #UNNDIF15. This enabled a worldwide community interested in water use to connect with their work. 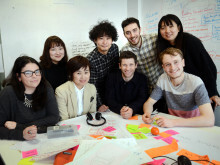 Solutions proposed by the undergraduate design students included smart kettles to avoid overfilling, creating interactive and fun renewable water bottles for children, and overcoming common misconceptions around the quality of tap water. One of the teams explained that tap water was always available, clean and healthy, and that persuading people to drink it more would cut down on the billions of plastic water bottles thrown away each year in the UK. DIF 2015 is an online, open-access event staged over three weeks by the Ellen MacArthur Foundation. It invites thought leaders, entrepreneurs, business, designers, makers and learners to explore the question: “the economy is changing — what do I need to know, experience and do?” Over 10,000 attendees took part in the inaugural DIF last year, and the second event is set to be even bigger, providing participants with opportunities to explore the economy through a different lens. For more information on the DIF and to view the digital content sign up and register at thinkdif.co. 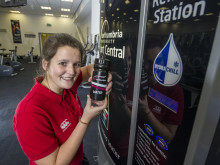 Innovative water dispensing machines used by gym-goers at Northumbria University’s Sport Central have now been used one million times, saving bottles from waste and supporting sustainability. 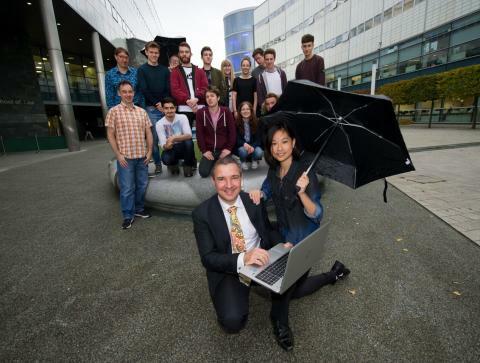 ​Students from Tsukuba University in Japanese recently teamed up with Northumbria’s MDI (Multidisciplinary Innovation) students and staff for a research project funded by Northumbrian Water.